Modern communications and consumer electronics such as high-speed WiFi, iPod/MP3 docking station, flat-screen TV and satellite TV with a large selection of national and international channels. 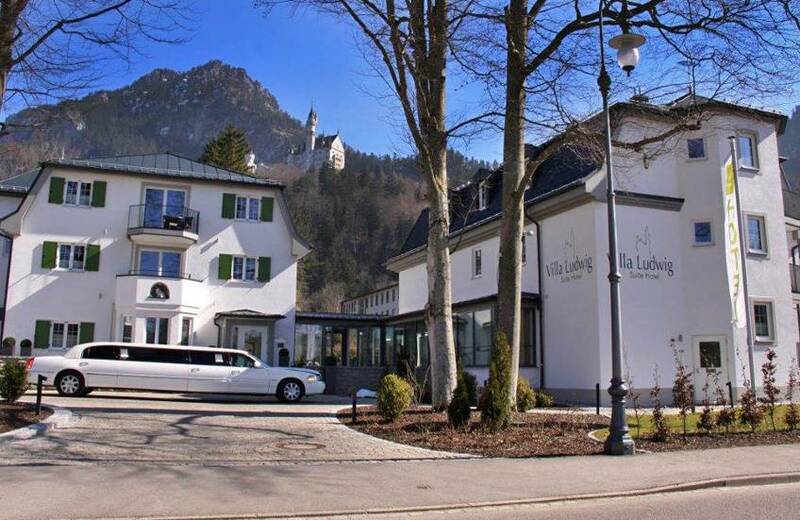 "Royal Ticket" for Neuschwanstein and Hohenschwangau €21.00 per person. The personal touches in our facility and of our concierge team will ensure that you feel as comfortable staying with us as with friends. Upon request, we will pick you up from the nearest station, organize airport transfers, drive you to local restaurants or castle shuttles on our original golf buggy. We also make bicycles available for you to explore our stunning region. We look forward to helping you plan your stay. We have plenty of reliable recommendations and insider tips to share. We're also glad to take care of any bookings and phone calls required. Whatever we can do for you, do not hesitate to ask in advance or let us know when you arrive at the hotel.